Beginning in mid-September, as Estes Park&apos;s aspen leaves slowly fade from their brilliant summer green hues to shimmering gold, the famous elk herds in the area begin their annual rut (mating) season. With the colorful backsplash providing the setting, the memorable sound of high-pitch mating calls fills the air. There are plenty of places to enjoyably listen to, and watch, these spectacular forces of nature. Among the many ways to view wildlife in Estes Park is ‘tail&apos;gating. 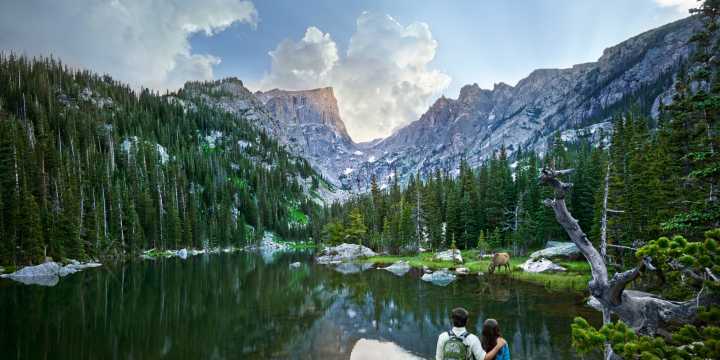 Instead of the traditional football-style tailgating, guests of Estes Park can bring new meaning to the fun by toting a small picnic to prime elk ‘tail&apos; viewing spots around town or in Rocky Mountain National Park. 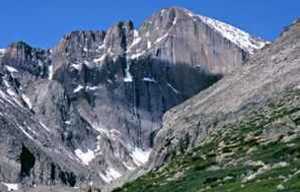 Guides lead these special outings or you may venture out on your own. Local lodging packages and restaurants may include special &apos;tailgate&apos; packages to conveniently include your meal, drinks or picnic ware. To celebrate the region&apos;s large elk population, the town also hosts the annual Elk Fest over the last weekend in September. 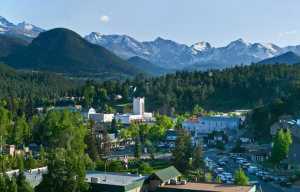 The festival features seminars, bugling contests, elk tours, a mountain man encampment, Native American music and dancing, and many more family-friendly activities. The event may span only a weekend, but the rut itself lasts weeks, typically from mid-September through mid-October (officially renamed ‘Elktober&apos;). 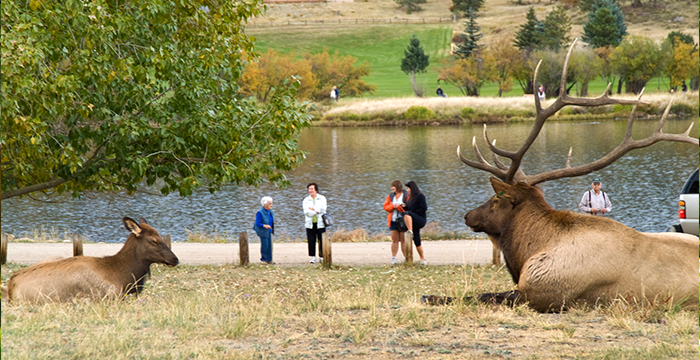 For tips on hot to view wildlife, including elk, in a safe & respectful way, please visit our Wildlife Watching page.